For your little guy who love catching bugs, this towel has all the bugs he'll ever want to catch complete with a jar to keep them in! 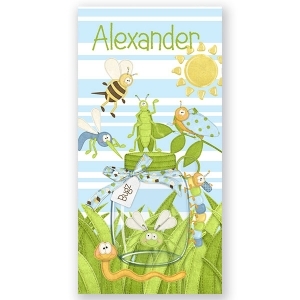 A big green grasshopper, a bumblebee and even a worm complete this towel. It's a sunny day in bugsville!